Steep Hill Ahead? No problem! The ancient gardening art of terracing has been used all over the world for taming hillsides while simultaneously respecting their, shall we say, “hill-ness”. 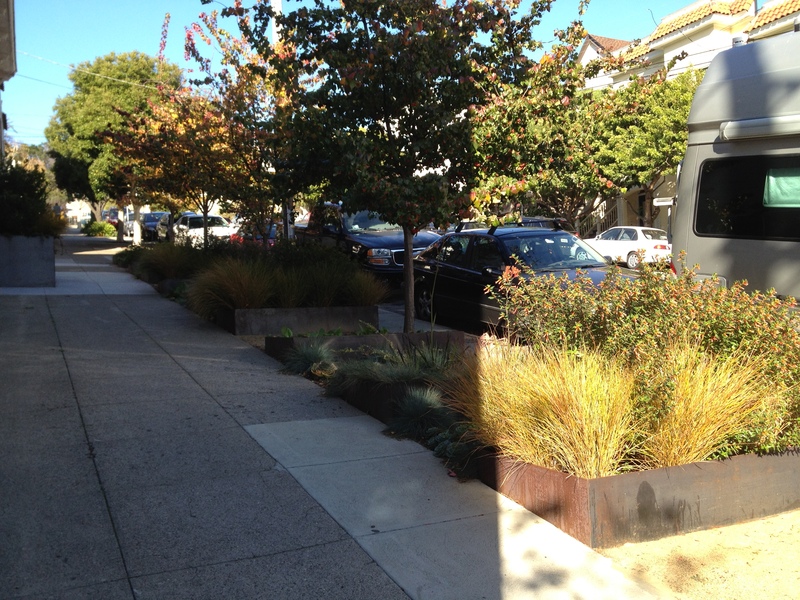 A steep asphalt street in Noe Valley is no exception. 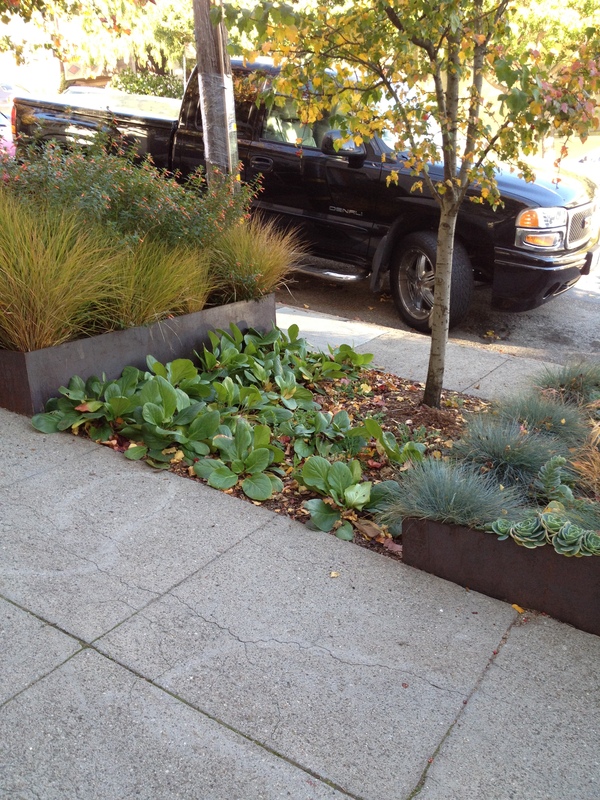 One of the best sidewalk gardens in San Francisco, this one uses modern-looking metal boxes, which are both durable and develop an attractive rust patina. 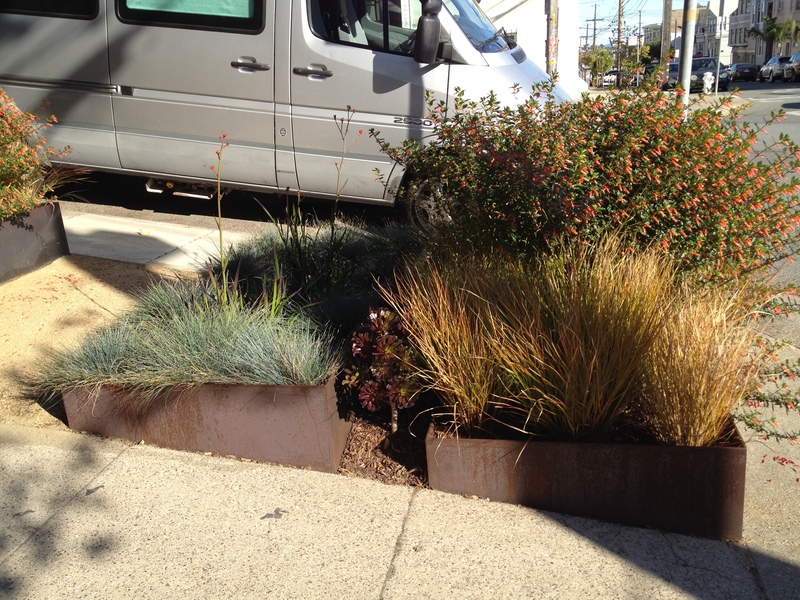 The grey-green and golden grasses, wine-colored aeoniums, and bright red kangaroo paw offer complementary hues as well as diverse textures. And an added benefit? The small gardens are something to stop and check out while huffing and puffing one’s way up the hill!